Dad and I have been planning, since June, on making it down to Frog Follies. We goofed around and got registered at the last minute, and decided that we are just going to drive down and back on Saturday. Since I have the “For Sale” sign in the ’37, and since he decided that he just wanted to ride along, I had planned on just running up to St Louis on Friday afternoon in the ’37. Then comes the “BUST”! 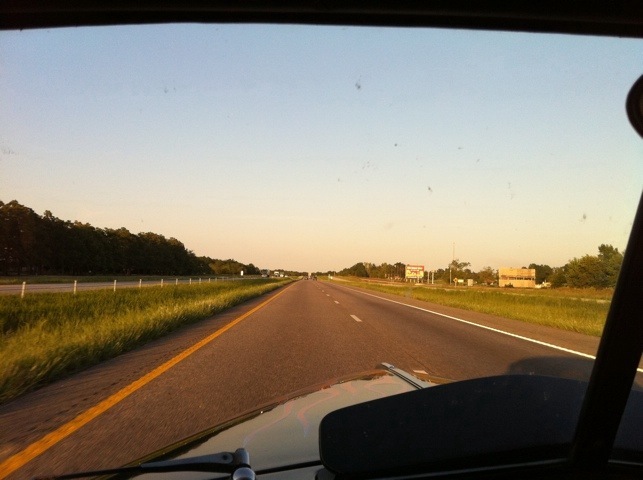 I drove the ’37 down to Ozark, MO, for a meeting this morning, and on the way back to my office (read basement), I notice that I have coolant spray all over the passenger side of the windshield, and a stream of it coming back on the hood. 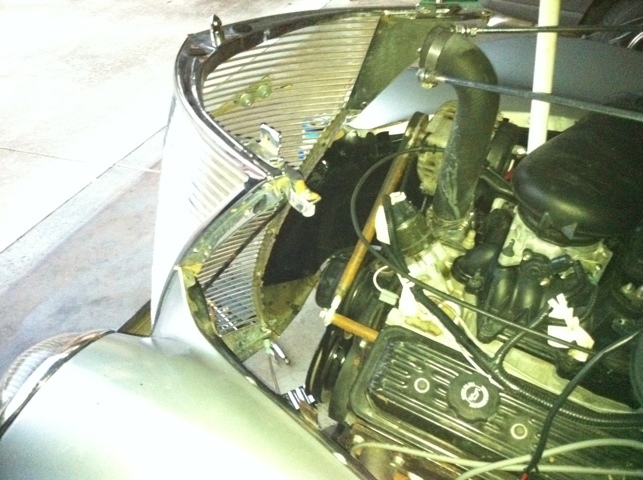 Radiator blew a seam on the top tank! I did talk with a local radiator shop, and they told me that if I can have my radiator over to them in the AM, they can assess the damage and if it’s not too bad, can have it ready for me by close of business tomorrow night. We’ll see how taking it out goes tonight, before I forecast whether or not it’s gonna be at Evansville, or if we’ll be making the drive in either my ’40 or Dad’s ’34!